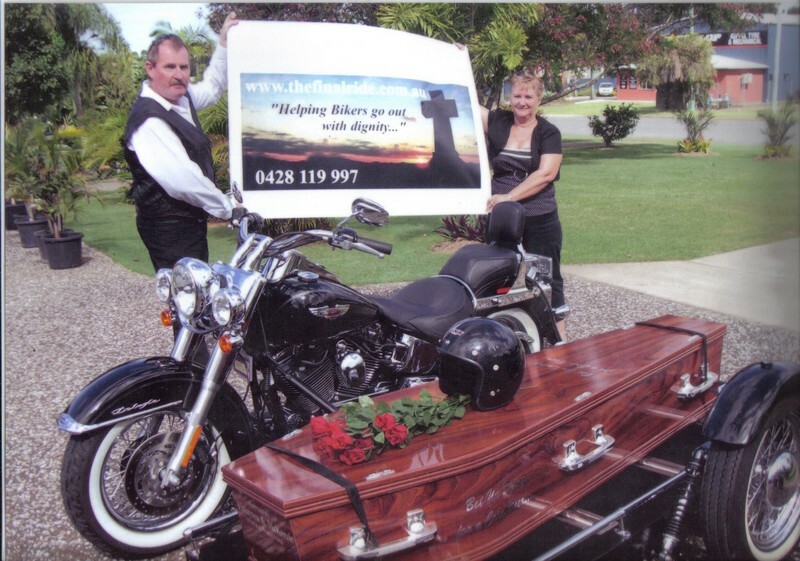 The Final Ride Pty Ltd is a family owned business operated by Keith and Michelle Patten. Keith has been associated with motorbikes for over 30 years, and also owns other bikes which he tries to ride whenever time and weather allows. Keith and Michelle both operate on old school values and cherish good manners, honesty, integrity and respect, whilst still maintaining a good sense of humour and a love of life. Keith and Michelle feel mourning is a private / personal time for each individual and in their own way and time, as they have grieved over the loss of two of their four children. Both are respectful of other individual’s beliefs and traditions.